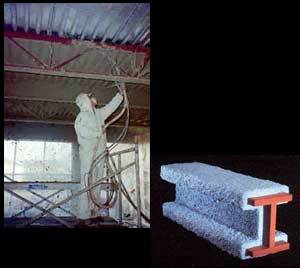 Centerline offers you a "Start to Finish" comprehensive knowledge of the Spray on Fireproofing scope of work. Our field experience with SOFP application gives us the advantage to understand and estimate any SOFP project accurately. We have been involved with SOFP since 1980 and have seen all of the different material trends and application changes over the years. MK4, MK5, to the current MK6, we used some of the first "Big-Blue" guns with tremendous production/sacks per day, and were part of the trials for Alum injection. The approach to providing a competitive bid starts with the interpretation of the Bid Documents. We realize what scope of work should and should not be included, and we qualify the inclusions and exclusions with great detail. Our Quantity Surveys/Take-Offs are very detailed, complete, and accurate using On Center Takeoff Software for your easy viewing and comprehension. By knowing the UL Ratings, building type, class, and local codes, we can determine what is required to spray and the required thicknesses that are required to meet the specific rating. 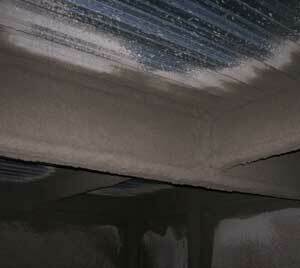 Our extensive experience gives us the knowledge and ability to basically build the job in the estimate. We will provide a solid estimate for your bidding projects. The actual estimate will be performed using WinEstimator, or with QuickBid Software. We can also build custom Excel Spreadsheets if you desire. We work with our clients and their own production rates so that the estimate can be adjusted to your exact productivity projections. The Mark Ups are based on your request. If your estimate is not completely accurate, the tendency is to start adding money to cover yourself. This often results having a "high" number that simply gets discarded. Let Centerline help you be a contender for the next project. Our Quantity Surveys/Take-Offs are very detailed, complete, and accurate. We capture the required thicknesses for the determined hourly ratings for every size member that is required to spray. Our extensive experience gives us the knowledge and ability to basically build the job in the estimate. Centerline has successfully assisted Sub-Contractors with contract interpretation, estimating, negotiations and document management for changes in work. 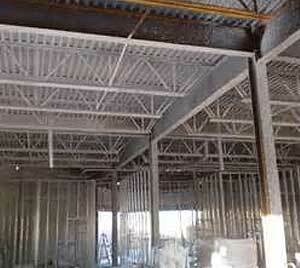 We have a long-standing record as construction consultants in this specific field. 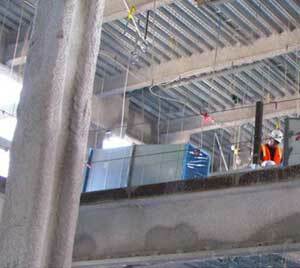 Many Contractors and Construction Management firms have benefitted by Centerline's extensive change order experience. Over the years we have sat on different sides of the table representing Owners, CMs, and Contractors. We have a knowledgeable and fair approach to helping Contractors to collect on added and unforeseen work. We take pride in evaluating, estimating and negotiating "Change Orders". To date, we have directly handled more than 2000 change orders totaling over Thirty Million Dollars. 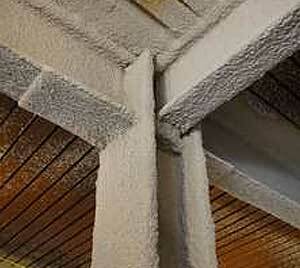 This accounting record of experience is accumulated on many types of commercial projects specifically for Fireproofing, Lath-Plaster, Framing and Drywall projects.